It’s always been a pleasure to be involved with various civic groups with their endeavor to contribute to the environment. In some of my observations, some does it right but most of them does it the very wrong way. Tree planting is one of the common activities proposed by various organizations like mountaineering and outdoor groups in either small or colossal in numbers during a hike in a disturbed mountain area. Most of the time, participants who wished to be involved are more interested and excited of getting to the summit and have the so called 'socialization" rather than focusing on the major objective of the movement. Most of the time, tree planting activity poses an environmental altruism because of community exposure and usually just TEMPORARY in nature. It is a must for the organizer to instill into the mind of the participants that partaking in the event is more than just a test of body endurance. The organizer has to inform first the community to which the area belong and the local government unit to assist and be involved in the undertakings of the activity. It will be a form of information dissemination. Involving them shall create strong message that the area is embraced to be restored and protected. Organizers have to provide a pre-climb seminar for the participants for the basic things to bring and clarify the do's and dont's during the activity. This is also the perfect time to give an information among the members about the objective of the climb. Most of the organizers fail to provide information about the significance of the tree planting activity in the mountain especially the types of species to be planted. So it is advisable to seek and consult the professional advice or seek assistance from the rightful institution for guidance, not to waste the time, effort and resources disposed for the event. Seedlings to be transferred must be endemic or species that naturally grow in the area especially the protected ones. Some important tree species that need to be replenished in the mountains are the Dao, Kamagong, Lauan, Bagtikan,Bitaug, Ipil, Magkono, Narra and Balete among others. If you are planning to plant mahogany, acacia, mangium or falcata, forget about tree planting as these species are less in intrinsic value in terms of biodiversity support. If your activity is an overnight stay, it is best not to advice participants to bring alcohol for the purpose of socialization. Alcohol is usually used for survival means in case the location is very cold. Thus excessive consumption can sometimes lead to negative perception of your true intention. After your activity, never fail to execute a feedback survey from the participants as form of evaluation. Revisit the reforested area to determine the success of your activity after three months. A. Tree planting is best done early in the morning and most recommended during RAINY SEASON. Scheduling it in the afternoon especially summer is not advisable as it is the height of evapo-transpiration among plants and seedlings are very much in stressful state and dehydrated during those times. This will result to less survival rate. B. Species of plants to be planted should be endemic to the area and has to be at least a year old or a meter in height. At this stage the seedlings are stable and can withstand environmental pressure like change of habitat (e.g- a barren environment). C. As much as possible do not plant along the established trail as the newly planted seedlings are prone to disturbance, damages , or simply being stepped on by trekkers and farm animals. D. The interval should be one meter from one seedling to another. This will give the seedlings enough space to grow and space competition will likely to happen as they grow taller, the space shall be a deciding factor for the survival of the fittest. E. Leaves should also be reduced in surface area to lessen the rate of evaporation or loss of water. Thus cutting some of the mature leaves horizontally will reduce the loss of water. F. Usually seedlings are placed in a PET or polyethylene bags. Do not remove the entire plastic bag to keep the supporting compact soil intact. Just remove the bottom cover to allow the roots to go downward. G. After planting and covering the roots with extra soil, find some mulching materials like dried leaves or grasses and place it around the newly transferred seedling. The decaying mulch will add up into the soil’s fertility and keeping the moisture intact in support to the adapting seedlings. H. Create a simple data of the planted seedlings that includes the date, species and number of individuals planted. Better if you write it a huge metal or wooden boards/sings installed in the of tree planting site for the information of the public. Good point you mentioned: the revisit. 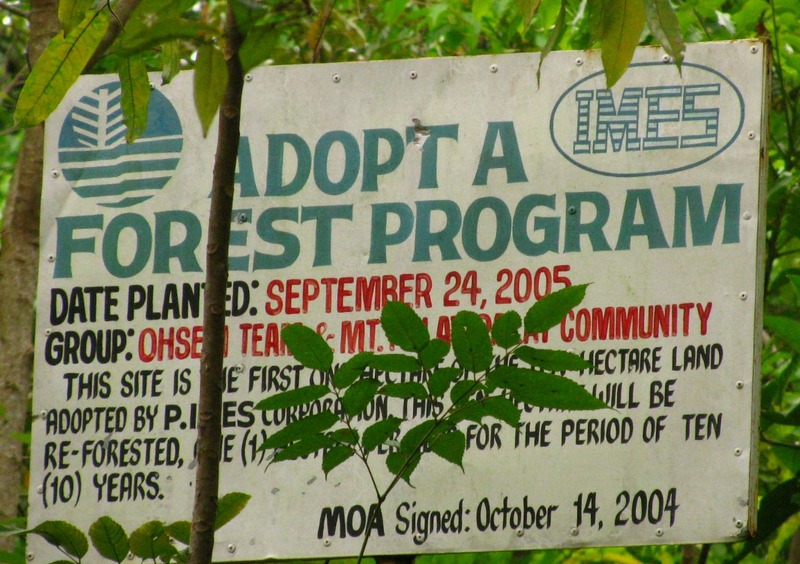 Often times, schools organize tree-planting activities as a fire-and-forget project. Students plant trees and then whatever happens, happens. A revisit would at least confirm or not the success of the initial deed. Good post! Sometimes we have to know our real intention of doing the tree planting activity. But I like the tips because they'll know better on what to do in tree planting. I did my rounds of tree planting in college and tried it again last year at La Mesa. I always enjoy this activity. I guess I missed out on the revisit part. It would have felt really fulfilling seeing those young trees growing. May I extend the concept of tree planting to tree growing. Tree planting is a palliative because you plant trees then leave the site not knowing what happens to the trees. Tree growing is nurturing what you planted, and seeing that tree grows as one robust gift of nature. I love to take part in tree planting..kaso kahit ata butong hinahagis ko, ayaw tumubo. My dad was a farmer and he taught me how to plant different trees and plants. Our trees are so tall right now. kung di ako nagkakamali, i was in 3rd year high school since the last time naka sali ako ng tree planting. ang gandang experience! para sa akin, mas maganda kung patuloy ang pagsusulong ng mga paaralan ng ganitong activity upang mamulat at makatulong ang mga estudyante sa pag rerestore ng ating kalikasan. the types of species to be planted..." This is an important task us human - to take care for our mother earth. great tips! Perfect for those who don't have the "green thumbs". I remember it was during my college we also did a tree planting project. Awesome tips for tree-planting program/activity. We should all get involved in this great advocacy whether we are living in the city or the countryside. All of us have our responsibilities to take care mother earth. Yes, I agree with you. Mostly, they do it a cery wrong way. Thank you for sharing us these tips. They are really a great help. Great tips brother. Hope to create an infographic about this. Hope my family and I can plant trees on the land our ancestors gave us. These are very valid suggestions when it comes to tree planting activities. The trees should be not only planted just for the sake of planting and publicity. There should be an effort to sustain its growth as well. but of course, starting by planting is an effort highly appreciated already. 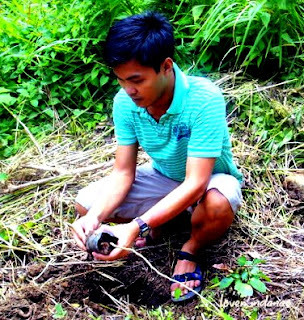 Interesting post, I learned a lot from this post coz I love tree planting and gardening. This is the question I once asked to hubby, now I know that I only should remove the bottom cover, thanks for this. Brilliant tips! Learned something here. I salute someone who advocates for our mother nature. This makes me flashback my childhood as I used to plant vegetables and fruits. Hoping to participate this kind of activity. Leaves should also be reduced in surface area to lessen the rate of evaporation or loss of water. Thus cutting some of the mature leaves horizontally will reduce the loss of water. I think it will be best for those who will participate in this kind of activity such as the tree planting, will be properly oriented so as to inform them the primary objective of the activity. 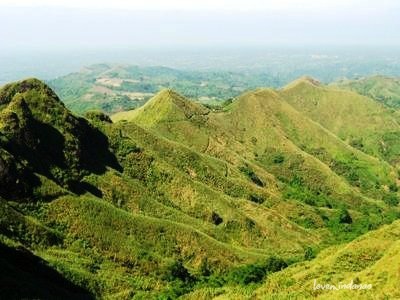 Its not just the fun of climbing or hiking but to save Mother Earth as well. Excellent GUIDE for tree planting organizers! The tips here will result to productive and successful tree panting activities. Very helpful post buddy. Thank you so much for this very helpful tips regarding planting trees. i wish for this advocacy to be more inspired, for this is an activity that nourishes the knowledge of some people who cares for the nature. Our organization is planning to conduct a tree planting activity next month. These tips are great! Will take note of the items written here. Sharing this article would be great for tree planting organization. Wow, thanks for letting us know about this. "Di rin biro mag tree planting!" thanks for this one brother. That's a lot of tips for planting a tree. We should follow these if we really want the tree to grow and not just die after planting.